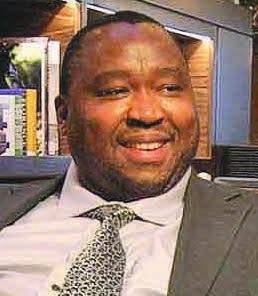 Khulubuse Zuma, the former chair of Aurora Empowerment Systems. The police have tried to seize an enormous pile of documents from a high-profile liquidator best known for administering the Pamodzi gold mines – one of South Africa’s most infamous corporate scandals. City Press has a copy of the warrant dated March 8, which demands documents from liquidator Johan Engelbrecht related specifically to 12 liquidated estates, of which Pamodzi is the major one. Engelbrecht this week secured an interim court order to prepare any documents the police need within eight weeks, with the judge pointing out that many of the documents were public and did not require a warrant to procure in the first place. Astonishingly, the warrant identifies Deputy Master of the Pretoria High Court Christine Rossouw as being implicated in the “commission or suspected commission of the offences”, including fraud and corruption. Engelbrecht and Rossouw this week pointed the finger at disgraced former liquidator Enver Motala, who was removed from the Pamodzi liquidation proceedings and later kicked off the panel of liquidators entirely in 2011. This meant he could no longer practise as a liquidator. He refused to comment this week. The Pamodzi mines were allegedly stripped of their assets by the politically connected Aurora Empowerment Systems between 2009 and 2011. Aurora counted Khulubuse Zuma, former president Jacob Zuma’s nephew, and Zodwa Mandela, Nelson Mandela’s grandson, among its directors. Motala was allegedly key to Aurora maintaining control of the Pamodzi mines while the mines were stripped, causing damage estimated at more than R1 billion. Another person targeted in the warrant without any further explanation is Marcus Senyatsi, the former manager of legal services at the Industrial Development Corporation (IDC). The master of the court’s office is responsible for maintaining the panel of people who are eligible to be liquidators, and it appoints liquidators to estates. While the IDC has been a creditor in estates administrered by Engelbrecht, it told City Press that Senyatsi has never acted as its representative in such a liquidation. It added that it was unaware of the warrant until City Press provided it with a copy. Rossouw this week told City Press that she had “reason to believe that the allegations that give rise to the warrant arise from a form of retaliation by Mr Motala for his removal as liquidator”. “I do not know why I have been identified as a suspect in any of the offences referred to in the warrant. I deny any involvement in any such offence,” she said in a written response to questions from City Press. The offences referred to are fraud and corruption, but also sweeping offences in terms of the Prevention and Combating of Corrupt Activities Act. The warrant is related to a case laid against Engelbrecht back in 2015 by Christina Pieterse, a former employee of his company Icon Insolvency. Pieterse deposed an affidavit in 2016 alleging that Engelbrecht and Rossouw were romantic partners and conspired to have Motala kicked off the Pamodzi estate. That affidavit was used in Motala’s failed court bid to set aside Rossouw’s decision to remove him. Engelbrecht told City Press that he “has suspicions” that Motala was somehow behind the sudden police action, as well as sudden media accusations in a Business Report article this week. The article cited unnamed “insiders” claiming that the police were closing in on a group of “rogue liquidators”. It only mentioned Engelbrecht by name and cites the 2016 affidavit by Pieterse at length. Rossouw this week said the allegation was not only “scurrilous and defamatory”, but also raised another red flag that Motala was involved. “The allegations about the “relationship” first surfaced in 2011, exactly when I removed Mr Motala from the Pamodzi companies,” she said. Motala has been fighting Rossouw’s decision to remove him from the panel of liquidators for years and lost a high court case in 2017. An appeal to the Supreme Court of Appeal was heard in January and a ruling is expected next month. Rossouw said that the re-emergence of the allegations against her seemed to be timed to scupper her recent application to take over the role of master of the high court. “I have no doubt that these untruthful allegations have resurfaced specifically to unduly influence those responsible for the decision in question,” she said. The ultimate reason for Motala’s removal from the panel was that he had previously changed his name from Enver Dawood to Enver Motala and had several criminal convictions dating back to the 1970s – and then lied about it. He later managed to get these convictions expunged and set out to get himself readmitted to the panel of liquidators. The high court ruling against him saw Judge Dawie Fourie finding Motala had told a “blatant lie” when asked if he had any convictions and also refused to answer any other questions at an inquiry that was held about this allegation by Rossouw.